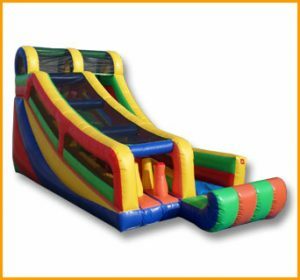 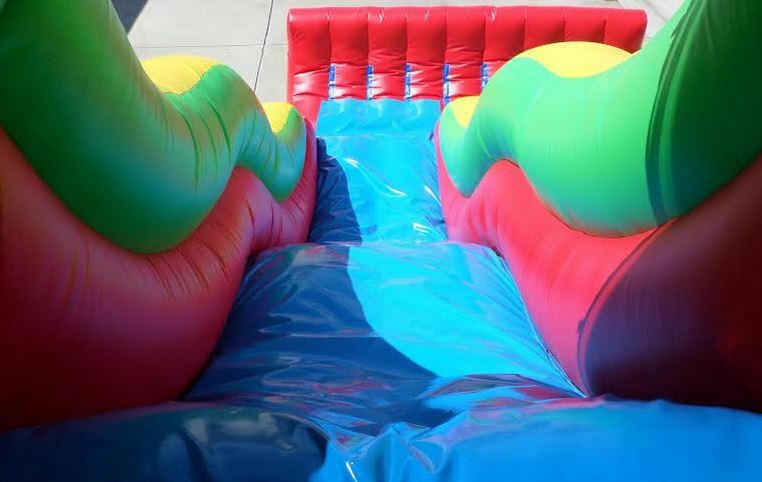 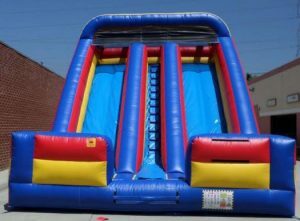 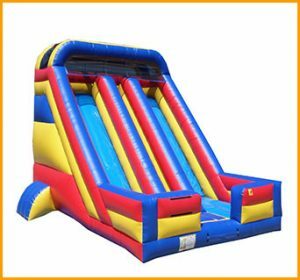 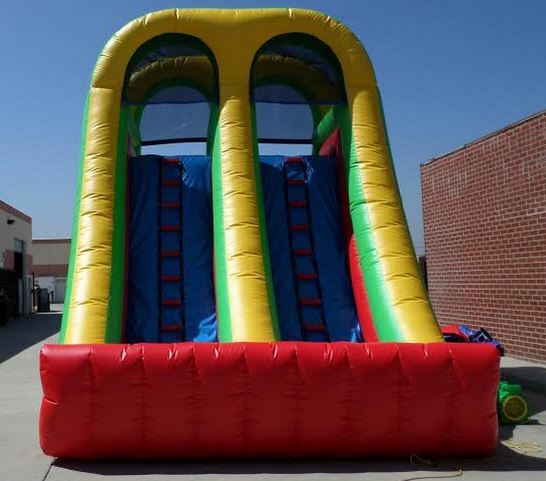 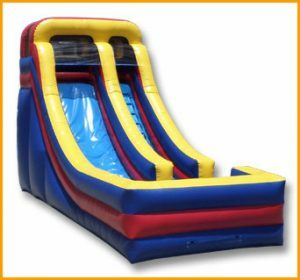 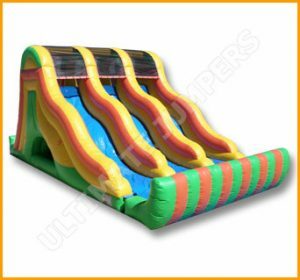 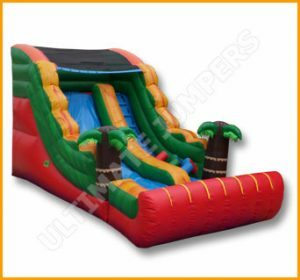 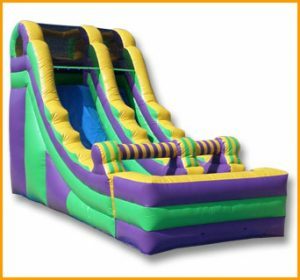 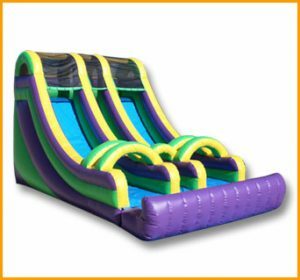 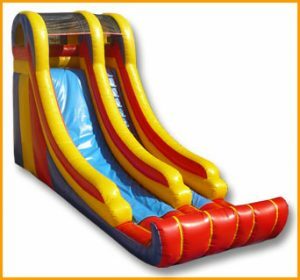 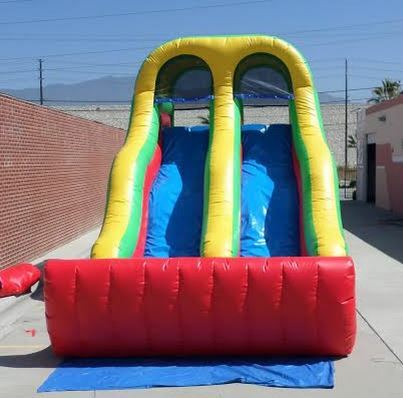 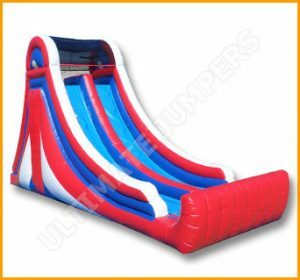 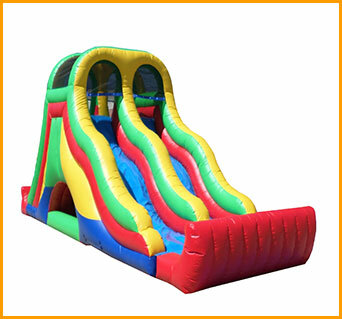 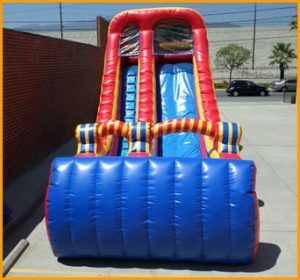 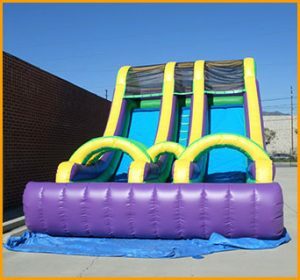 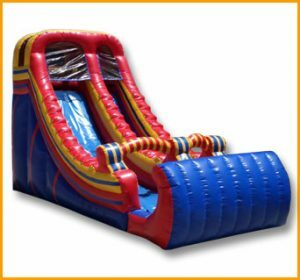 This back load inflatable 18′ double lane slide is suitable for kids of all ages. 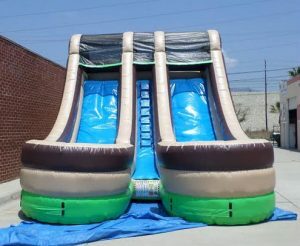 It can be set up indoors as well as outdoors. 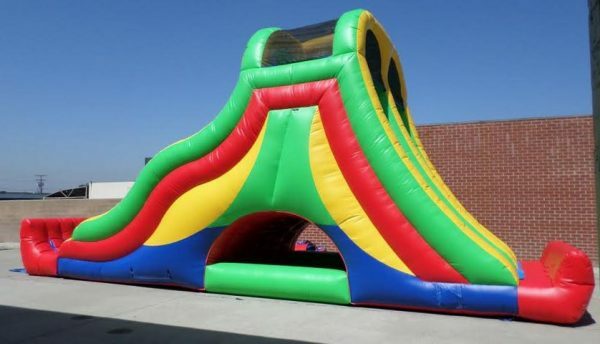 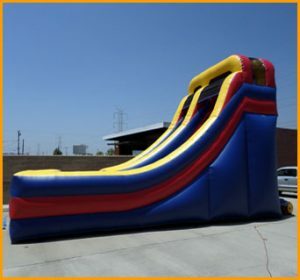 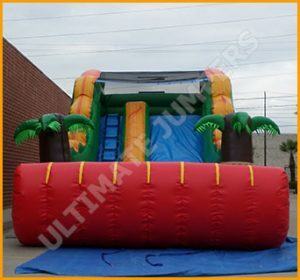 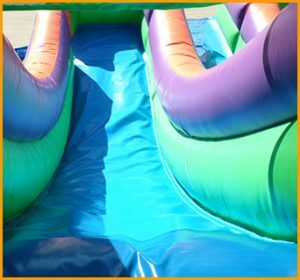 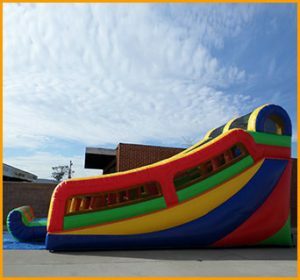 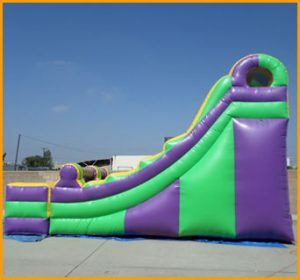 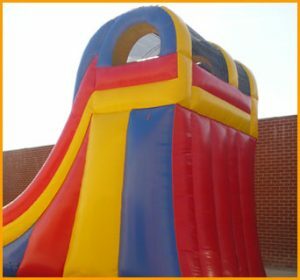 Inflatable slides provide endless entertainment and fun for kids of all ages. 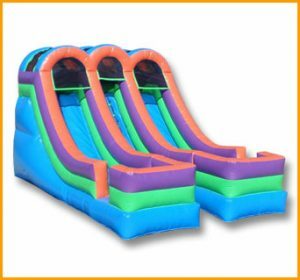 This back load inflatable 18′ double lane slide is suitable for kids of all ages. 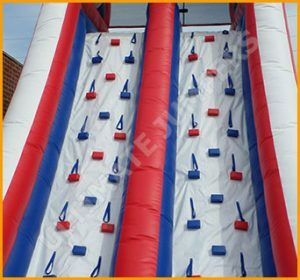 It can be set up indoors as well as outdoors. 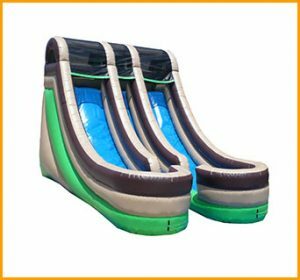 All slides are made of durable materials with industry safety standards. 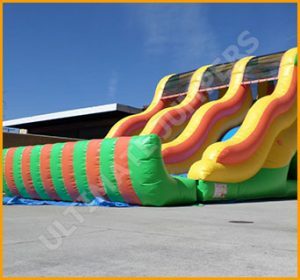 The colors of this slide can be customized at no extra charge.